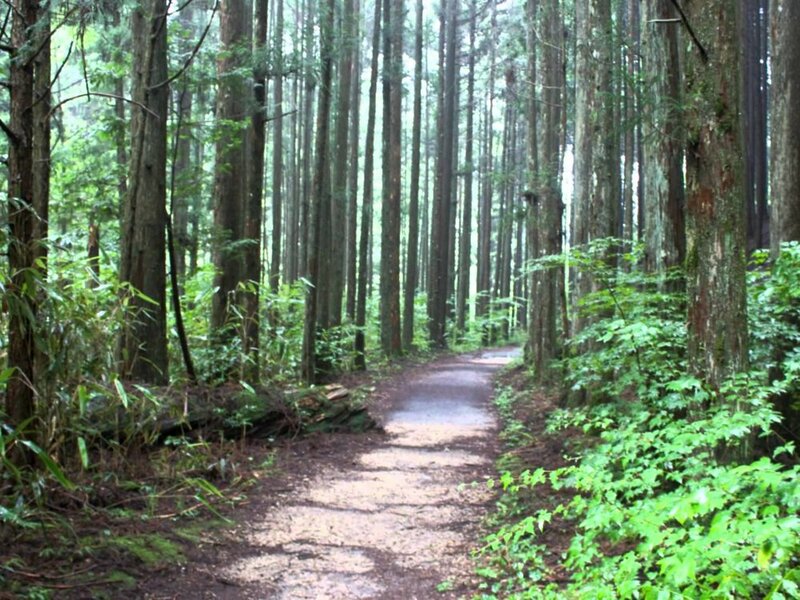 Walking engages one's mind and body, and Japan is rich with ideal destinations for walking. On this tour, we'll traverse Japan's rural and urban past, present, and future on foot. Participants will be immersed in multiple and varied places and times and will experience memorable aspects of Japanese nature and culture first hand, gaining a deeper understanding of this Asian culture, and one's own. Our six night journey will begin in the traditional capital of Kyoto where we'll stroll garden and temple paths; continue via various transportation to an outdoor museum where remarkable architecture is preserved, to post towns along the historic Nakasendo where we'll walk in the footsteps of samurai and pilgrims; and end with several days in Tokyo, where we'll explore quaint corners of 17th century shopping neighborhoods and dive into compelling virtual versions of the future. 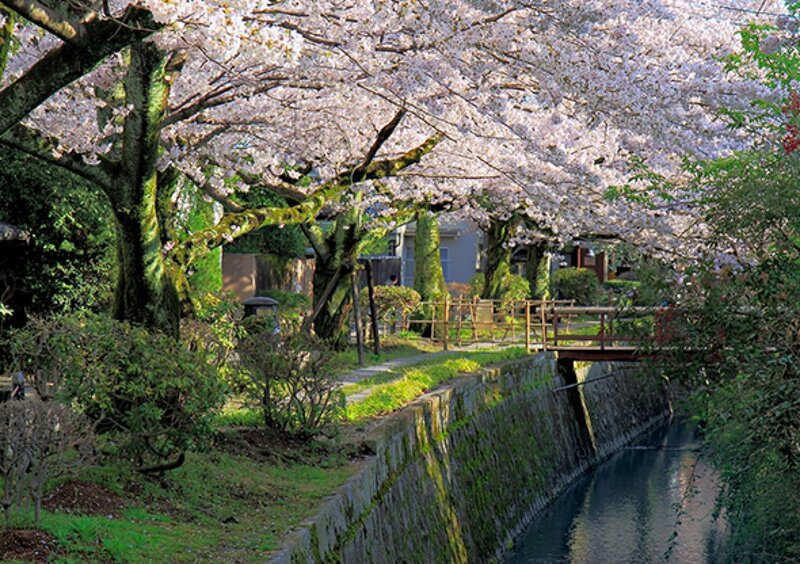 Springtime is a delightful time to visit Japan's countryside and the cities on foot. Participants will become acutely aware of various cultural contrasts and contradictions, and through discussion we'll explore how these are resolved. We will have culinary experiences both low and high, quirky and common, mundane and exquisite. Welcome to Japan! (Or perhaps you’re already in Japan, in which case it’s, “Welcome to this tour!”). If you’re just arriving, Tiny World Tours will arrange your transfer from the Osaka Kansai airport to your Kyoto Hotel, the Vista Premio Kyoto Kawaramachi. The journey from the airport to the hotel will be approximately 90 minutes depending on traffic. Kyoto is one of the most culturally rich cities in Asia. Home to 17 UNESCO World Heritage sites, over 1,600 Buddhist temples and 400 Shinto shrines, this ancient city showcases the heart and soul of traditional Japan. Kyoto boasts an array of world-class gardens, majestic festivals and delicate cuisine, all of which make much of the rhythms of nature and the changing of the seasons. On first glance however, visitors will see that like any large Japanese city, grid-like Kyoto has its fair share of neon and concrete. But the discerning eye will soon pick out Kyoto’s treasures: sacred shrines tucked in among shopping arcades, time-honoured teahouses nestling among modern businesses and mysterious geisha scuttling down backstreets among the tourists and souvenirs. Kyoto’s charm lies in these details and whether you’re here for a short, medium, or long stay, the closer you look, the more you’ll discover. Today we will visit a selection of Kyoto highlights on foot, including those along the famous Philospher’s Walk. We will board an afternoon high-speed Shinkansen “bullet train” and ride East to Nagoya (this journey lasts under an hour) and transfer to the Mitsui Garden Hotel Nagoya Premier. Today, we will be met by an English-speaking guide for a tour of Meiji Mura and Inuyama, two sights outside of Nagoya known for their 1800s splendor. Meiji Mura is a collection of around 60 structures from the Meiji era of Japanese history-- right around the time when Japan started to see a huge western influence due to the increase in trade with the western world. This unique village preserves the architecture and atmosphere from such an important time in Japanese history. Fans of iconic American architect Frank Lloyd Wright will enjoy the reconstructed lobby of his historic Imperial Hotel, relocated from Tokyo, and a famous survivor of Tokyo’s devastating 1923 earthquake. We will also venture to Inuyama Castle and the surrounding gardens. Our guide will provide us with some essential background information about the Nakasendo and the Kiso Valley. At the end of this day’s tour, our guide will drop us off at Nagoya Station to catch our train to the Nakasendo (disembarking at Nagiso Station and then transfer to the charming village of Tsumago on foot or via taxi). Tsumago, the jewel of the Kiso Valley, was once a post town on the old Nakasendo highway linking the ancient capital of Kyoto with Matsumoto. Today, Tsumago is loved for the residents’ efforts to preserve the town’s Edo Period ambiance. Power lines are hidden away and cars banned from the main roads during the daytime so that the beautiful, traditional buildings and flag-stone streets can be seen in their true glory. A stay in Tsumago is to step back in time and experience old Japan; a world away from the robots, gadgets and gizmos that many associate with modern Japanese cities. The walk along the old samurai trail between the neighboring villages of Magome, Tsumago, and Nagiso is highly recommended. We will spend the next two nights (and dinner both nights) at the charming Fuki-no-Mori Ryokan. After breakfast at our ryokan we will hike about 3 hours (one way), deep into the Kiso Valley, in the shadow of Mount Ena and overlooking a checkerboard of rice paddies, to the historic village of Magome. This was once an important stop on the Nakasendo Way samurai trail and today retains beautiful wooden houses and a traditional, rural way of life. Like a pretty little hamlet in the Cotswolds, Magome is simply charming; the perfect place to wander around, take photos of quaint Japanese buildings, pop into craftshops and say konnichiwa to the friendly locals. You’ll have the choice to return to Tsumago on foot (3 hours) or via local bus (~20 minutes) and enjoy our dinner and last night at the Fuki-no-Mori Ryokan. After breakfast and check-out, we will go on foot following the old Nakasendo Way through one the most scenic parts of the Kiso Valley ending at Nagiso Station. En-route we'll pass tea fields, farms and the occasional shrine. At Nagiso Station we will board a limited express train to Nagoya (travel time will be just over an hour). At Nagoya we will board a Shinkansen “bullet train” and speed east along the Pacific coast to Tokyo (about two hours). We’ll check into our hotel, the JR Kyushu Blossom Hotel in Shinjuku and go on an evening walk to explore our hotel’s dazzling urban neighborhood. Dinner on your own. One quarter of all Japanese live in Tokyo or the near vicinity and with a population of over 12 million inhabitants, Tokyo is one of the largest cities in the world. With its huge skyscrapers, underpasses, overpasses and crowds of pedestrians, the city has a vibrant charm all of its own. The street level detail is what makes Tokyo such an interesting place to explore and at every turn you will be met with an array of sights, sounds and smells to enliven our senses. A stay in Tokyo is to experience one of the world's most vibrant and interesting cities; a capital hurtling headlong into the future while maintaining links with the traditions of ancient Japan. After breakfast we will be met by an English-speaking guide for a deep dive into futuristic Tokyo including a visit to the man-made island of Odaiba which is proud home to the world’s first digital art museum, designed by the ultra-technologist art group teamLab. “teamLab Borderless” features almost 50 immersive, three-dimensional digital works spread over five distinct sections, with themes of nature and interaction. In the ‘Athletic Forest’, you are invited to understand the world by bouncing, moving, and swinging your way through the art; in the stunning ‘Forest of Lamps’, you are invited to approach resonating Venetian glass lamps that react to you by changing color. The entire museum is a breath-taking, interactive, multi-sensory experience that encourages you to be at the centre of the art and appreciate how the exhibits change around you, rather than simply observing them from a single vantage point. If you need a pick-me-up, you can head to the ‘En’ tea house and enjoy a cup of green tea in which a digital flower blooms as you drink it! A walking tour of another Tokyo neighborhood. End-of-tour, transport to Narita airport (or inquire about extending your stay). The itinerary is a sample and is subject to change. 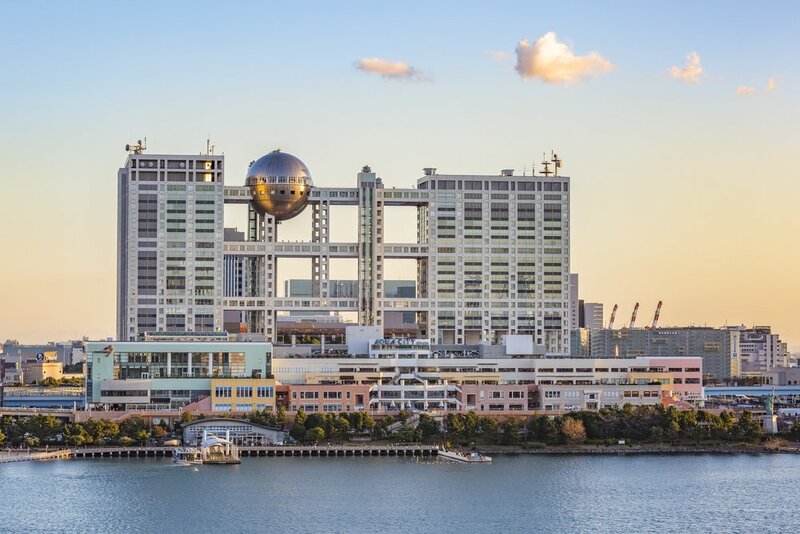 The final schedule will be determined approximately 30 days prior to departure to allow for the inclusion of special exhibitions, visits, and events and are dependent on the schedules of our Japanese colleagues, current museum and gallery shows, and opportunities which may arise. In the event that a requested visit is not available, a similar visit will be substituted. A final itinerary will be sent to all participants about three weeks prior to the tour departure. Japanese cuisine, both traditional and contemporary, is unique and a key part of this trip. We will do our best to accommodate allergies and other food preferences, however we regret that we cannot provide gluten-free, vegan, or fish-free meals. If you have other food restrictions, please inquire.